What can the $3 billion California stem cell agency learn from Solyndra? The topic came up at a staff meeting on Monday at the San Francisco headquarters of the agency that has pumped $1.3 billion so far into stem cell endeavors in the Golden State. For those who have not followed the Solyndra debacle (see here, here and here), it involves the abrupt shutdown of the solar power enterprise in Fremont, Ca., and shuttering of a new, state-of-art manufacturing facility. It appears that the federal government has lost a $535 million loan to the company. The FBI is conducting an investigation along with Congress. Executives of the firm have refused to testify before Congress, citing their constitutional rights. Approximately 1,100 people have lost their jobs. Where do CIRM and Solyndra converge? Both are involved in cutting edge technology. Both are engaged in financially risky areas of business. The stem cell agency, however, is on the funding side, as is the federal government in the case of Solyndra, which is/was engaged in development and production, much as are CIRM grant recipients. In an interview Monday with the California Stem Cell Report, CIRM Chairman Jonathan Thomas said a staff member brought up Solyndra at the Monday meeting. The subject is increasingly important to CIRM as it engages the biotech industry more aggressively with grants and loans in a push to actually move research into the marketplace. During the discussion, Thomas said he stressed the need for the agency to be "totally realistic" and "completely factual" about company plans. He said CIRM must have "excellent procedures" when evaluating stem cell enterprises. "Deep due diligence" is necessary, he said. The stem cell agency has provided only 7 percent of its largess to business, but is likely to boost that amount by many tens of millions of dollars – if not hundreds of millions – in the next year or two. CIRM's funding will run out around 2017. It is seeking to come up with tangible results that will resonate with voters should it decide to ask for more multibillion dollar infusions of cash. All that is occurring within the biotech industry, which has a business failure rate of 90 percent. Only a handful of biotech firms turn a profit. The news that eminent British stem cell researcher Peter Coffey has found a new home on the seaside campus of UC Santa Barbara was officially released today. As the California Stem Cell Report first disclosed on Aug. 25, Coffey will begin work in November. UCSB was aided in recruiting Coffey with a $4.9 million grant from the California stem cell agency. Coffey's move from the University of London represents a significant addition to California's stem cell community, which has been well nurtured with $1.3 billion from CIRM since 2005. "I appreciate being part of a thriving community backed by CIRM, which now allows opportunities that until now were not possible. To work with the UC Santa Barbara group –– the stem cell and macular degeneration centers –– is truly exciting." "The long-term goal of Coffey's research is regeneration of the diseased eye. Age-related macular degeneration, diabetic retinopathy, and retinitis pigmentosa are leading causes of blindness for which there are no effective treatments in the majority of cases. Loss of vision is due to progressive degeneration of the photoreceptor cells, or loss of cells that support the photoreceptors, such as retinal pigment epithelial (RPE) cells or cells in the retinal vasculature." SAN FRANCISCO – A key panel of directors of the $3 billion California stem cell agency this morning approved a $30 million effort to speed development of therapies and to reach out to the biotech industry. The new initiative was approved with little discussion at a brief teleconference meeting of the new Intellectual Property Subcommittee. The proposal will now go to the directors' Science Subcommittee and the full board, probably late next month. Approval is expected. "Forms of such validation may include a term sheet or letter of intent with a pharmaceutical or large biotechnology company (provided a binding agreement is entered into prior to the disbursement of CIRM funds), and/or significant investment from venture capital, disease foundation funding or other sources of third party or government funding, including SBIR funding." Paul Hastings, CEO of OncoMed Pharmaceuticals of Redwood City, Ca., and chairman of BayBio, the Northern California industry group, recommended a slight modification in the proposal, which was adopted by the CIRM panel. Hastings' suggestion stipulates that a collaborative agreement would serve as third party validation. CIRM's proposal came in response to last year's recommendations from a blue-ribbon panel that CIRM should be far more active in engaging the biotech industry, which has been less than pleased with its tiny share of the $1.3 billion in funds handed out so far by CIRM. At the end of the session today, Hastings said he was "very encouraged." He said he was "looking forward to working with CIRM in a more proactive way." The session may have been the first ever public CIRM meeting attended by a chairman of the BayBio, which represents more than 450 life science enterprises. The IP subcommittee also approved a change in its name and focus to emphasize that the agency will be moving more aggressively to engage the industry. Its co-chair, Duane Roth, a San Diego businessman, is being charged with fostering better industry ties. 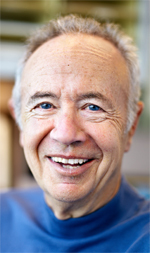 Andy Grove and the $3 billion California stem cell agency need to talk. Both have the same matter at the top of their minds – turning research into cures. Grove, as many readers know, is the almost legendary former CEO of Intel whose interests have long spanned a wider arena than microchips. Currently, Grove is keenly focused on an area of science that he sometimes discusses in the context of a question: "key to progress or bridge to nowhere?" It is an apt question for the California Institute for Regenerative Medicine, which will run out of funds by around 2017 unless it can come up with convincing evidence to persuade state voters that it deserves another multibillion dollar injection of cash. And that is not to mention the hopes and expectations of the millions of voters who approved creation of CIRM seven years ago. What this is all about is translational medicine, an ill-defined term that generally means taking basic research, refining it, testing it further and developing a means to actually use it on people in clinics. Someplace in all that is the economic necessity to develop a plan that will generate profits for the enterprise that ultimately produces the therapy. What nags at Grove is the egregiously slow pace of turning out new cures and treatments. He told a UCSF audience last month that 800,000 scientific papers related to new drugs are published annually, but only 20 new drugs come to market each year, according to a blog posting by Adam Mann of the California Institute of Quantitative Bioscience. Grove said that the time and investment currently needed to create a new drug is about what it took, adjusted for time and inflation, to build the Great Pyramid of Egypt -- 20 years and $1.5 billion. Grove's efforts go beyond rhetoric. He has pumped tens of millions of dollars into medical research in recent years, including stem cells. In 2010, he funded a $1.5 million program at UCSF and UC Berkeley to create a master's degree in translational medicine. Currently, the California stem cell agency is acutely aware of the need to at least partially fulfill the promises of the 2004 ballot campaign that led to its creation. It has a new chairman, Jonathan Thomas, who is focusing on closer ties to industry in hopes that faster progress can be made. It is altering its grant review review process on its big-ticket rounds in hopes of generating better results. That includes its disease team rounds, which are designed to bring together a broad array of expertise in hopes of moving into clinical trials more quickly. Grove's proposals are wide-ranging, including changes at the federal level, and not all possible to implement in a short timeframe. But fresh and innovative thinking is what any organization should be seeking. Grove's suggestions could well be of major benefit to California's unique experiment in stem cell research. Some in the medical research establishment do not take kindly to Grove's suggestions. One writer a few years ago titled his commentary on the former CEO's proposals "Rich, Famous, Smart and Wrong." But clearly not all is well with the progress of drug development. We do know that Grove, who had prostate cancer and has Parkinson's, is not going to drop his effort any time soon. Today, the latest edition of Science magazine published an article by Grove in which he makes specific recommendations for changes in the Byzantine clinical trial system. Fifty billion dollars a year for biomedical research to produce only 20 new drugs is not good enough. Grove is also to be a keynote speaker at next month's World Stem Cell Summit in Pasadena. The title of his speech? "Translational Medicine: Key to Progress or Bridge to Nowhere?" Here is a copy of the slides that Grove used in his presentation at UCSF. The San Jose Mercury News and the San Francisco Chronicle this morning picked up on the enrollment of the first Californian in Geron's historic clinical trial for a human embryonic stem cell therapy. The role of the $3 billion California stem cell agency in the trial was noted in the Chronicle piece by Erin Allday but was ignored in thearticle by Lisa Krieger in the San Jose paper. Investorstemcell.com also carried a piece that mentioned CIRM's $25 million loan to Geron. The three stories were all that turned up this morning in our searches, beyond the coverage reported yesterday. "The public needs to understand that no one expects these spinal-injured patients to get up and start walking. It's not likely to cause any dramatic improvement or any improvement at all." The $3 billion California stem cell agency will press forward next week with its efforts to become more industry-friendly, including creation of a $30 million program catering specifically to biotech. The initiatives will be considered next Tuesday at a teleconference meeting with remote locations in both Northern and Southern California, presenting an opportunity for industry representatives to weigh in with comments or suggestions for changes in the proposed programs. It will be only the second session of a new subcommittee of CIRM directors. It is expected to be renamed the Intellectual Property and Industry Engagement Subcommittee. The change reflects a refocusing of the panel's efforts and the appointment of Duane Roth, a San Diego businessman as co-chairman. Roth will specifically deal with industry matters. The subcommittee is expected to "engage industry as a partner" and work to ensure that therapy development is not "unreasonably hindered," according to a CIRM document. The panel is also slated to develop policies to encourage "participation by industry representatives as scientific members" of the CIRM grant review group, which makes the de facto decisions on grants. The subcommittee is additionally expected to deal with industry financing issues. In addition to discussion of its mission, the panel is scheduled to act on a "strategic partnership funding program" that could hand out awards of $10 million or possibly more twice a year. The initiative, which would initially be funded at $30 million, is part of CIRM's response to the findings of a blue-ribbon commission last year that determined that the agency needed to provide more support for industry. The funds would be limited to projects that have "third party commercial validation." A staff document said that could mean "a term sheet or letter of intent with a pharmaceutical or large biotechnology company (provided a binding agreement is entered into prior to the disbursement of CIRM funds), and/or significant investment from venture capital, disease foundation funding or other sources of third party or government funding, including SBIR funding." Remote locations where the public and industry can participate in the meeting are in San Francisco (2), Irvine (2), Los Angeles, Woodside and La Jolla. Addresses can be found on the agenda. We should note that the background material on the issues to be considered is now available on the CIRM website, a posting that is much more timely than in the past. Consistent early postings of such material will help make it easier for industry and interested parties to follow the agency's activities and enable them to respond appropriately. Initial membership of the committee, which is also co-chaired by Stephen Juelsgaard, formerly executive vice president of Genentech, can be found here. A transcript of the panel's first meeting last month, which involved a discussion of industry-friendly initiatives, can be found here. One of the goals of the new chairman of the $3 billion California stem cell agency is to raise its visibility in a significant way with positive portrayals of results of its work. Today, CIRM chalked up a plus in that column. Jonathan Thomas, the Los Angeles bond financier who is CIRM's new chairman, was quoted this morning in a several accounts dealing with Geron's first-ever clinical trial of its hESC therapy for spinal cord injuries. The stories – with at least a few more likely to come today and tomorrow – reported the first Californian to be treated in the high-profile project. They were based on news releases from Stanford(see here) and CIRM(see here). The stories were the type of coverage that has minimal negative content and reflect positively on the stem cell agency. Two articles surfaced in Northern California in the San Francisco Business Times and Palo Alto Online. Ron Leuty's story in the Business Times included a photo of Thomas (which helps attract readers) and a partial quote in the caption which highlighted CIRM. Both stories noted the agency's $25 million loan to Geron, a Menlo Park, Ca., firm to help out in the trial. "'When the people of California voted in favor of Proposition 71, they did so with the hope of seeing stem-cell-based therapies for chronic disease and injuries. This first California patient to participate in Geron's landmark spinal cord injury trial is a major step toward fulfilling that hope,' said Jonathan Thomas, chair of the California Institute of Regenerative Medicine governing board. "'We are proud to be providing funding for this first safety trial, which is a critical step toward making safe and effective stem-cell-based therapies available to patients.'" "The first Californian to receive stem cell therapy funded by the California Institute for Regenerative Medicine (CIRM), began clinical trials Sept. 17, the institute said Monday. The treatment is for patients with spinal cord injuries." It has been six years, 10 months and 27 days since the New Yorker visited the California stem cell scene. But stem cell research in the Golden State is making the magazine again in the Sept. 19 issue, but not for what might be strictly called research. 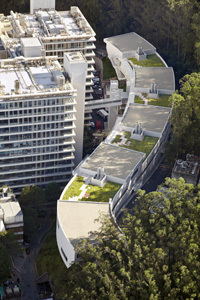 Instead it is for a striking building housing stem cell research at UC San Francisco. 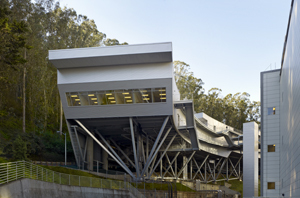 "(A)rchitecture critic Paul Goldberger features UCSF’s Ray and Dagmar Dolby Regeneration Medicine as one of three new science buildings in the United States 'crafted with the specific intention of fostering interaction and connections, as a means of generating ideas.'" CIRM helped to finance the structure in a $271 million laboratory construction round in 2008 that included most of the stem cell research institutions in the state. The San Francisco building cost $123 million. CIRM pumped in $35 million with matching requirements. Ray and Dagmar Dolby contributed $36 million. Eli and Edythe Broad, contributors also to stem cell research at UCLA and USC, added $25 million. UCSF still has to raise $12 million to pay off the building. The South San Francisco stem cell firm, iPierian, which has a special and early connection to the California stem cell agency, has been undergoing major changes in the past few months. The latest came last week when it announced it has hired a new CEO, Nancy Stagliano, who was replaced Aug. 11 as CEO at another South San Francisco firm, CytomX Therapeutics. Luke Timmerman of the Xconomy website wrote on Sept. 7 that Stagliano was named to the iPierian post after the firm "prioritized the company’s efforts over the past several months toward using its (ips) stem cell technology to help discover drugs for neurodegenerative disorders like Alzheimer’s, amyotrophic lateral sclerosis (ALS), and spinal muscular atrophy." Last May, iPierian unloaded most of its executive team. A few weeks later, the board chairman, Corey Goodman, quit. With Stagliano's arrival, interim CEO Peter Van Vlasselaer will become executive chairman of the board. Major investors in iPierian, including John Doerr of Kleiner Perkins Caufield & Byers of Menlo Park, contributed nearly $6 million to the 2004 campaign for Prop. 71. The figure was 25 percent of the total contributed to the campaign, which was run by former CIRM Chairman Robert Klein, a real estate investment banker. As far as we know, no other biotech firm can claim to have that sort of early linkage to the $3 billion California stem cell agency. CIRM has awarded $7.2 million to iPierian. One grant amounted to about $1.5 million with Berta Strulovici as the principal investigator. The other was for about $5.7 million with Michael Venuti as the PI. The firm has a cast of stem cell luminaries associated with it, including Shinya Yamanaka of Kyoto University and the Gladstone Institute, along with George Daley of Harvard University. Daley is a co-founder of iPierian. 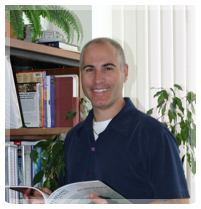 He also was a member of the blue-ribbon review panel that analyzed CIRM's activities last fall and is a current member of the CIRM grants review group. 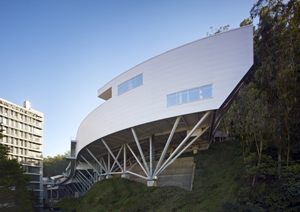 Deepak Srivastava of UC San Francisco and Gladstone is also a co-founder and scientific adviser to the firm. He holds $6.6 million in CIRM grants. Other scientific advisers include CIRM grant recipients Benoit Bruneau, UCSF-Gladstone, $2.8 million, and Bruce Conklin, UCSF-Gladstone, $1.7 million. Kevin Eggan, Amy Wagers and Chad Cowan, all of Harvard, are scientific advisers to iPierian as well as members of the CIRM grant review group. Members of the CIRM grant review group are barred from taking part in the discussions or voting on grants on which they have conflicts of interests. Reviews are conducted behind closed doors. StemCells Inc.'s impending bid for $20 million from the California stem cell agency is taking on greater weight as the company battles to keep its finances flowing. Esha Day of Reuters reported today that the Newark, Ca., company, co-founded by Stanford researcher Irv Weissman and two other well-known scientists, is hoping to raise $2 million to $3 million by selling "some of its real estate and other non-core assets to buy time until it has more conclusive data from initial trials of its innovative therapy." StemCells Inc. is in a much different situation than its early days. Reuters said that the company is burning cash at a rate of $1.5 million a month and will run out in April without a fresh infusion. The company's stock closed at $2.52 today, a far cry from a high of $188 in 1992. The company's shares have lost nearly 80 percent of their value since the beginning of this year, Reuters said, because of skepticism about its ability to raise cash. Weissman sits on the board of directors of the firm. He is also a scientific advisor to the business, along with Fred Gage of the Salk Institute and David Anderson of Caltech. Gage and Anderson were also co-founders of the firm. In the wake of the president's job speech last week, up popped this comment from writer Matthew Yglesias , author of "Heads in the Sands." "I can’t help but think that the American economy has performed sluggishly ever since George W. Bush gave a speech to Congress successfully calling for a ban on human-animal hybrids. Clearly we need to deregulate this vital sector and win the future with chimera stimulus." An obscure Arizona company that is sharing in a $20 million HIV/AIDS research grant from the California stem cell agency has posted more details on the Internet about its origins and plans, which include a tie to the famous Berlin Patient. The firm, Calimmune, Inc., disclosed that its chairman is David Baltimore, former president of Caltech, Nobel Laureate and former member of the stem cell agency's governing board. One of Calimmune's advisors is the German physician, Gero Hutter, who successfully treated the Berlin Patient, Timothy Ray Brown, the only person in the world who has been cured of HIV and AIDs and who now lives in San Francisco. In 2009, CIRM's governing board awarded a $20 million disease team grant to UCLA researcher Irvin Chen and Geoff Symonds, an Australian who is chief scientific officer of Calimmune of Tucson, Ariz. Earlier information on the Internet reported that Chen and Baltimore were co-founders of Calimmune. Baltimore was not on the CIRM governing board at the time the grant was awarded. He resigned June 6, 2007. Calimmune said on its website that its "singular purpose" is to bring "a one-time, cost effective therapy to the HIV community." According to the website, the firm was established "to develop innovative cell-based therapies for HIV" based on work from Chen's and Baltimore's labs. Delaware state records show that Calimmune was incorporated in that state in 2006 although the company's website reports that it was founded in 2007. We have queried the company concerning the discrepancy. Calimmune said it is seeking "to provide HIV-positive patients with a similar type of genetic resistance to HIV that occurs naturally in 1% of the European population. By treating a patient's own stem cells and T cells (cells specifically targeted by HIV), we aim to protect patients from the ravages of AIDS and eliminate the need for daily medication." Essentially, that would replicate the case of the Berlin Patient. The company appears to have strong ties to Johnson&Johnson, or at least its executives have had in the past. Symonds worked in Australia for the firm from 1992 to 2009. Calimmune's chief financial officer, Bhavin Raval, was finance director for J&J Research in Australia from 2002 to 2009. Louis Breton, CEO of Calimmune, told the California Stem Cell Report in 2009 that none of the firm's funding originated with Johnson&Johnson. Breton has not responded to queries from the California Stem Cell Report since 2009 including queries during the past week. The unanswered questions involve the number of its employees, whether the firm has any business beyond the CIRM grant activities and the address of the location where the CIRM work is actually performed. CIRM cannot fund work that is performed out-of-state. Melissa King, executive director of the CIRM governing board, told the California Stem Cell Report that the firm "conducts its laboratory research at leased lab space on UCLA's campus." It also has laboratories in Australia, according to documents on the Internet. King said Calimmune's "corporate address" is on Wilshire Boulevard near UCLA. The Wilshire address appears to be only an address for service of process, according to California state records. Calimmune's Tucson address is the location of an investment firm, based on a visit by the California Stem Cell Report to the location last fall. We were told at the time that Calimmune rents space in the office. "….the resources and investigators are outstanding and the team is superb, both scientifically and in therapy development. The Disease Team comprises a collaboration between two complementary groups, one academic and one corporate. Each brings unique expertise to the project, with the academic group providing scientific know-how and proof of concept and the corporate group providing expertise in biologics development and commercialization. The team leaders are accomplished, highly productive investigators with a demonstrated track record in the field of HIV research, gene therapy, and/or clinical drug development. Key members of this team made the initial scientific observations leading to their hypothesis and demonstrated proof of concept in tissue culture and relevant models....The principal investigator has built up a rich and well-considered network of collaborations and resources and there is no doubt that the environment will be sufficient for this task." "Another reviewer expressed the view that although the treatment will likely find a significant niche, the complexity, cost and potential toxicity of the approach will likely limit its use, even if successful." The viral nature of cyberspace and its impact on the California stem cell agency was demonstrated again this week in an item on the Business Law Daily Internet site in Sacramento. The subject was CIRM salaries. Writer Chriz Rizo of the Business Law Daily picked up our item earlier this week on the salary issue along with information from the Sunday article by Ramon Solis at the Orange County Register. Rizo's piece brought the salary matter to a new set of readers. The article was a clear demonstration of how media has been altered in the last 20 years. In that long past era, Solis' piece would have started and stopped in Orange County. Now it is accessible to widely separated audiences and additional Internet editors and writers globally, who are always hungry for something fresh. And in the future, Solis' piece and related articles will invariably turn up as reporters – not to mention the general public – google CIRM's activities. In most states, it is probably illegal nowadays to tie a can to a dog's tail. But that doesn't much help the $3 billion California stem cell agency. It has a can on its tail, and nobody seems likely to come to its rescue. The nagging irritation trailing CIRM comes in the form of repeated news stories about salaries at its executive levels. Just a few weeks ago, a round of pieces surfaced concerning pay at CIRM. The touchy subject popped up again this past weekend. "Alan Trounson, president of the California Institute for Regenerative Medicine, the state stem-cell research agency, is the highest-paid nonacademic employee in the state, making an annualized salary of $490,008 as of June 2011. His salary is paid by bond funds." "The regenerative medicine institute is a prime example of a well-funded state agency operating outside of the constraints of the General Fund. "On average, institute employees made $103,435.08 in 2010, according to 2010 salary data from the State Controller’s Office – the most of any department in state government. "In addition to employing the state’s highest-salaried nonacademic employee, Trounson, the institute also employees the state’s highest-paid part-time employee, Art Torres, the former chairman of the state Democratic Party, who made $230,000 last year as the institute’s co-vice chairman. Institute staff members, however, say Torres handles the responsibilities of two people. Staff maintain that the institute would have to spend more money on two separate employees if not for Torres. "'Given the fact CIRM is a research funding institution, it is critical that CIRM have the ability to competitively recruit and retain employees who have the skills and backgrounds necessary for these positions,' said Melissa King, the institute’s executive director of the governing board, when asked about Torres’ and Trounson’s salaries. "The institute has one of the smallest payrolls in state government, with just 46 employees who account for around 1 percent of the agency’s $3 billion budget, King said. Unlike other agencies in state government, the institute’s payroll and administrative overhead is capped at 6 percent of its budget, to ensure that most of its money goes to stem-cell research. The institute also has an added protection in that an independent committee composed of leaders in the biotech and medical industry as well as patient advocates set the salaries of its employees." It could be said that CIRM fared better in the Orange County Register story than many of the others in the past about its salaries. The piece noted that CIRM has a tight operational budget. The article also cited as "an added protection" an "independent committee" that sets CIRM salaries. The committee is the CIRM board of directors. The story also did not report that, with interest on the borrowed funds for Trounson's salary, its actual cost is around $1 million. Nonetheless, the issue of high salaries will dog the agency as long as they exist. CIRM pay is also likely to surface in a much more visible way in the event that the agency goes to the voters for another multibillion bond issue in a few years. "No one becomes a successful scientist on their own. I’m not going to channel Hillary Clinton and say it takes a village to make a scientist, but how does one avoid having the village idiot or worse as one’s mentor?" Knoepfler reflected on his mentoring experiences and also queried Irv Weissman of Stanford about his experiences. Weissman responded with a fulsome email that mentioned Ernst Eichwald, who Weissman said was "a pathologist who was tired of academia and moved to run a path lab practice at Montana Deaconess Hospital in Great Falls Montana." Weissman, a descendant of fur traders and junk dealers, said he was "amazingly lucky" to find people like Eichwald. Stem Cells Inc. of Newark, Ca., this morning touted its research award from the California stem cell agency as an "encouraging vote of confidence" for its plans to develop a stem cell-based therapy for Alzheimer's disease. "Our research, and that of our collaborators, provides a strong rationale for developing our HuCNS-SC neural stem cells as a potential treatment for Alzheimer's disease." "...has shown that mouse neural stem cells enhance memory in a mouse model of Alzheimer's disease, and we have previously shown that our human neural stem cells can survive in the hostile environment reflective of an Alzheimer's brain. This award is an encouraging vote of confidence, and with CIRM's help, we will be better able to pursue our aim of developing a stem cell-based therapy for Alzheimer's disease." Last week, the company was one of four firms to receive a planning award -- $98,050 in the case of the Stem Cells Inc. -- for the upcoming $240 million disease team round in 2012. Stem Cells Inc. could be eligible for a CIRM grant of up to $20 million in the summer of next year. Stem Cells Inc.was trading at $2.43 this morning, down five cents from its close yesterday. Its low during the last 12 months was $2.02 and its high $12.70.